Over the 10 years Mirus has been in business, we have grown in many ways. The challenge has always been to maintain our personal approach, whilst achieving the competencies and compliance requirements from larger organisations and the public sector. Our recent service desk re-orientation has already dramatically improved our communications and response rates among our range of clients and they are experiencing higher levels of satisfaction and business performance as a result. We have seen a lot of movement towards cloud computing environments as the previous economies of scale enjoyed by large organisations are now available from the smallest to the largest, levelling the playing field and opening new opportunities. This mark of achievement demonstrates our continued commitment and expertise around Microsoft solutions such as Windows 7, Windows Server 2008, Windows Small Business Server 2011 and Microsoft Office 365. Do you believe Cloud Computing is creating more opportunities for you and your business? 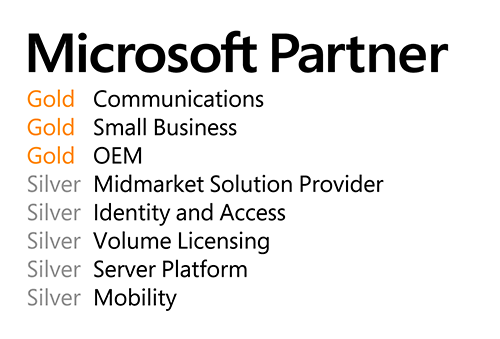 Mirus IT Solutions adds the Small Business competency to gold OEM and Communications, and silver competencies for Mobility, Server Platform, Volume Licencing, Identity and Access and Midmarket Solution Provider. Get in touch with Mirus using the below.